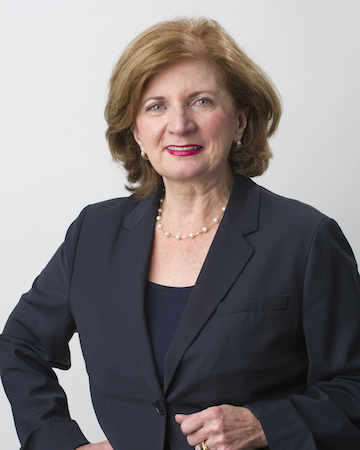 Butzel Long has announced one of the firm’s attorneys and shareholders, Clara DeMatteis Mager, has been elected to the firm’s board of directors. “Clara has deep leadership experience with our firm and is a valuable addition to our board of directors,” says Justin G. Klimko, president and CEO of Butzel Long. Mager’s practice is focused on business and family immigration issues. This includes all aspects of the international movement of personnel; inbound and outbound work-authorized nonimmigrant (temporary) and immigrant (permanent) status; immigration consequences of mergers, acquisitions, and corporate restructuring; employer sanctions; and immigration law audits. She has been the firm’s Immigration Department leader and worked to grow the practice. She is also the firm liaison to Lex Mundi, a global association of 160 independent law firms. Additionally, she has served as chair and regional chair of the Lex Mundi Immigration Committee. She is active with the Lex Mundi Pro Bono Foundation, providing legal services to select social entrepreneurs. The foundation is part of the global social entrepreneur movement for positive social change. Additionally, she is active in the community, working on pro bono immigration matters. Currently, she is a board member of the French American Chamber of Commerce, Italian American Alliance for Business and Technology, and Leonardo International, Inc., and is also a member of the Federal Bar Association, State Bar of Michigan, Women Lawyers Bar Association, and Italian American Bar Association. Additionally, she was a board member and past chair of the J.D./L.L.B. Advisory Board and the University of Detroit Mercy School of Law/University of Windsor Faculty of Law. She is a graduate of the Detroit Regional Chamber of Commerce Leadership Detroit XXII Class. Mager has been listed as a Top Lawyer in metro Detroit by DBusiness. She is a Martindale-Hubbell AV Preeminent Rated Lawyer, and she received the 2015 Michigan Lawyers Weekly Women in the Law Award. Mager is a graduate of Wayne State University and of the Detroit College of Law, where she was a member of Law Review. Butzel Long was founded in Detroit it 1854 and has full-service law offices in Detroit, Bloomfield Hills, Lansing, Ann Arbor, New York, and Washington D.C., in addition to alliance offices in Beijing and Shanghai.